The Cobourg Highland Games Society would like to invite you and your friends to our Annual Robert Burns Dinner and Ceilidh on January 26, 2019 at the Cobourg Lions Community Centre, 157 Elgin St. E. Doors open at 4:30pm with Dinner at 5:30pm. The dinner will include Salad, Carved Sirloin Roast Beef and Haggis, Potatoes, Turnips & Carrots, followed by Trifle & Shortbread cookies, coffee or tea. Entertainment will include, The Lindsay Rose Highland Dance Company Dancers, The Cobourg Legion Pipes and Drums and Madman’s Window. At 8:30 pm the Ceilidh starts with The Cobourg Legion Pipes and Drums and then with Madman’s Window. Reserved Dinner Seating Tickets are $45 in Advance, $50 after January 12th, children 12 and under $20. Ceilidh only tickets are $12 or $15 at the door. Dinner Tickets will only be sold until January 19th, so please buy your tickets early so you are not disappointed. Tickets are available at Nessie’s Gifts & British Fare, also online at www.cobourghighlandgames.ca through Snapdtix. 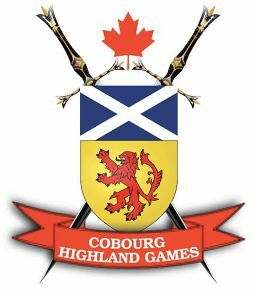 There will be a Silent Auction to raise funds for the 56th Cobourg Scottish Festival and Highland Games. A Registered Tax Donation Receipt will be provided for a portion of the Adult Dinner Ticket price.